Meet Jesse E. Guerra Jr.
"My passion remains, and will always be, to help make our communities safer for your children and for mine ... one case at a time." 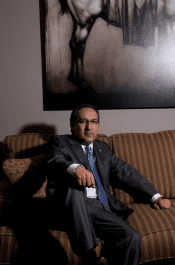 - Jesse E. Guerra Jr.
As founder of The J. Guerra Law Firm, Jesse is an advocate for safety – whether it's in the workplace, at a commercial building or in your own backyard, his top priority is to protect you from becoming a future victim of negligence or harm. 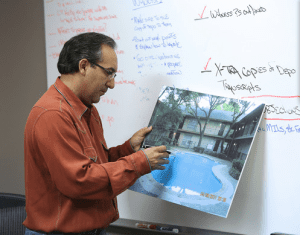 As the firm's lead litigator, he is nationally known as the "swimming pool safety lawyer" – a unique niche Jesse created to meet the demands of safety in the aquatic world, in order to keep you and your family safe. As the firm's aquatic litigation attorney, his primary focus is on swimming pool safety law. Due to his vast experience in aquatic litigation and his knowledge on pool safety, Jesse has been sought out by the Consumer Product Safety Commission to create drowning prevention programs. He has appeared on local TV stations in San Antonio to discuss Aquatic Safety, and he has as sponsored water safety events in the community. These free events provide swimming lessons and water safety videos to parents in order to help educate them on the dangers surrounding unsafe pools. safety regulations. Jesse continues to be at the forefront of swimming pool safety laws and health codes that affect the swimming pool industry. He is also an active blogger on swimming pool safety topics – keeping you informed on pool safety-related news. Jesse's dedication to serving as a pool safety watch dog pretty much makes him Public Enemy Number 1 to pool owners who are not carrying out their responsibility to keep their pools free of hazards for visitors. Jesse, who has earned the nickname "Texas Safety Lawyer," focuses solely on drowning, swimming pool accident and other water-related accident cases. His passion for what he does, coupled with his strong work ethic, is what sets Jesse apart from his peers. He is truly willing to go the distance for you ... on each and every case. Above all else, Jesse truly cares about his clients, making himself available to each and every one of them ... 24 hours a day, 7 days a week. U.S. District Courts for the Southern, Northern, Eastern and Western Districts of Texas. 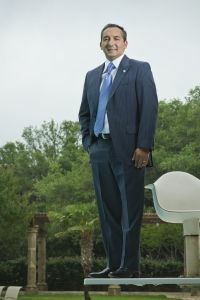 In 2009, "Texas Lawyer Magazine" selected Jesse as one of 25 attorneys to represent the title, "Extraordinary Minority Lawyer". This prestigious award is only given once every five years. Outstanding Alumnus Award (Arizona State University's Law School for the class of 2006.